We sat down from each other at the dinner table, both of us wondering what we could possibly have in common. His mother was a tiny woman in her finest dress, speaking French, and smiling over at me with a wariness in her eyes. 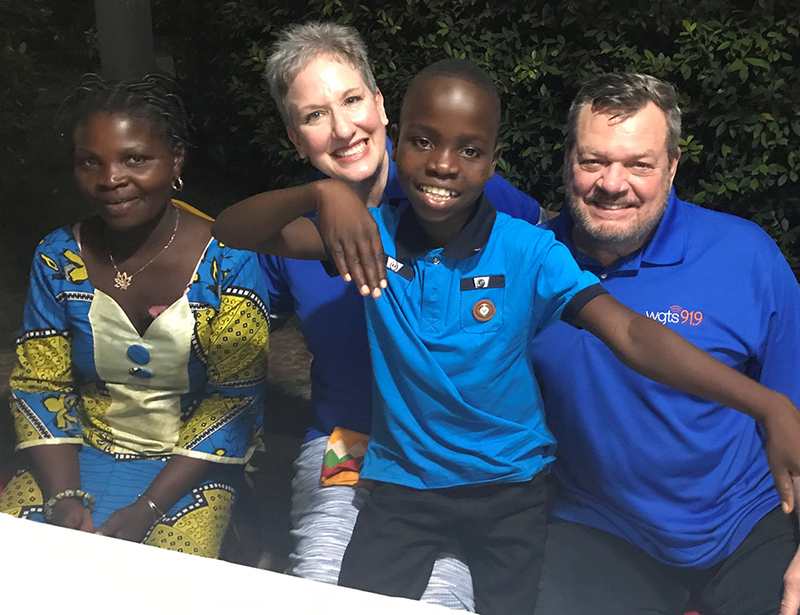 For the first time ever, this brave woman who farms for a living had traveled more than two hours by bus to bring her son to meet his Compassion International sponsors who just happened to be Johnny and me. This Sunday in the worship service, she sat behind us as we cherished her son sitting between us. She encourages him to dance with us during a song that she knows the words to and we do not. Always watching and protecting, this mother’s faith led her to this place and she thanks us for providing for Komi Tonton’s school fees and doctor visits. It is then that I realize that our faith has led us here also. Providing for the least of these through Compassion International has brought our paths together and I see the worry lines between her eyes that I see on mothers around the world. He drops something and she reaches over to clean it up without thinking someone else will. She smiles as he opens his gifts and thanks us again for loving him. Perhaps that is the one thing that we have in common, simply wanting the best for this child and so many just like him. Thank you, mama, for everything. You can give hope to a child, like Komi Tonton.